Marker Text Joseph Potton (1847-1920), a native of England and master mechanic for Texas & Pacific Railroad, built this Victorian residence in 1901. 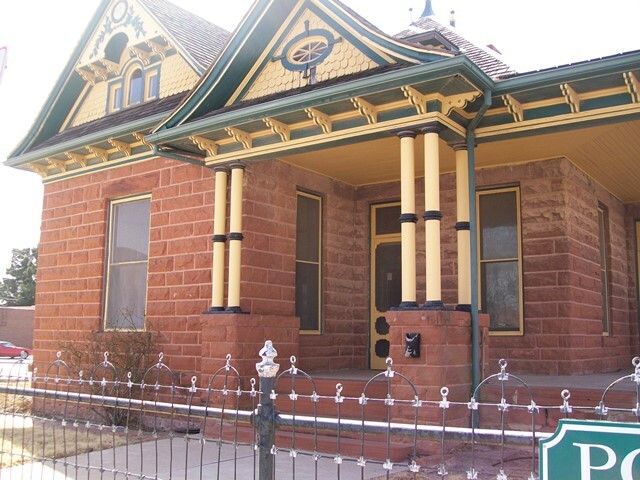 Designed by the Fort Worth firm of S. B. Haggart and Son, the house was constructed of Pecos sandstone with iron pillars and zinc gable decorations. Potton, a school board trustee, and his wife occupied the home after he retired in 1912 and often entertained here. Later their daughter, Mrs. Henry R. Hayden, and her family resided here. Recorded Texas Historic Landmark - 1976.